A drink-driver who needed his licence to do his job has lost his employment after receiving a 20 month ban from the road. 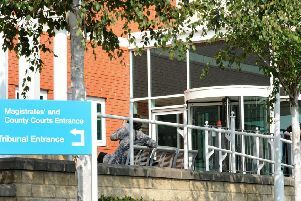 Chesterfield magistrates’ court heard on Wednesday, March 14, how John Gary Owens, 50, of Brentwood Close, Bamford, in the Hope Valley, collided with a parked car on Brentwood Road, at Bamford, when he was over twice the legal drink-drive limit. Mrs Allsop added that Owens was taken to the police station and he registered 73microgrammes of alcohol in 100millilitres of breath when the legal limit is 35microgrammes. Owens pleaded guilty to exceeding the alcohol drink-drive limit after the incident. Defence solicitor Rob Sowter said Owens made full admissions and he has lost his employment because he needed to be able to drive to do his job. Magistrates fined Owens £120 and ordered him to pay a £30 victim surcharge and £85 costs. He was also banned from driving for 20 months but the ban can be reduced by 22 weeks if he completes a drink-drive rehabilitation course.